And the scream keeps coming . 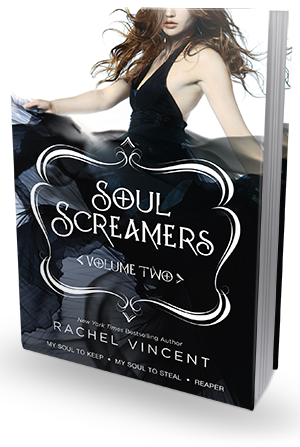 . . Don't miss Volume Two of New York Times bestselling author Rachel Vincent's unique and fascinating Soul Screamers series. Aside from the whole "I scream when someone is about to die" thing, Kaylee Cavanaugh's life has gotten better. She's getting to know her dad, doing okay in school and has a hot new boyfriend who understands her in every way. Until the hellion Avari starts tempting everyone with an exotic new drug—demon's breath . . .
Now on shaky ground with Nash Hudson, Kaylee is taking their relationship easy. But then Sabine—Nash's ex—storms into their lives. She's determined to get Nash back and there's nothing she won't do to remind him of what they had. And since Sabine has special abilities of her own, Kaylee is headed into a battle she's not sure she can win . . .
"Oh, blah, blah, blah," a jaded voice said, drenching our privacy with a cold dose of sarcasm. "You love him, he loves you, and we're all one big, happy, sloppy, dorky, family." "Damn it, Tod!" Nash stiffened. I closed my eyes and sighed. When the front door slammed, I woke up and rolled over to find my father staring down at me, looking pissed beyond words. Apparently napping with my nose pressed into my boyfriend's denim-clad crotch was not on the list of approved sleeping arrangements. If there's no memory of love, can there still be love? My scowl deepened. "She was doing that already. Besides, this makes sense. She's the only one with motive and opportunity." Alec leaned forward again and shook his head, eyeing me solemnly. "You watch too much TV. Nothing's ever that cut and dry in real life. Especially when you're suspects aren't even human." Overall, My Soul to Steal is a quick and easy read. The mysterious deaths of Kaylee's teachers are more than it seems and Rachel pulls from previous novels and things aren't just forgotten or pushed away to the side, never to be thought of again. 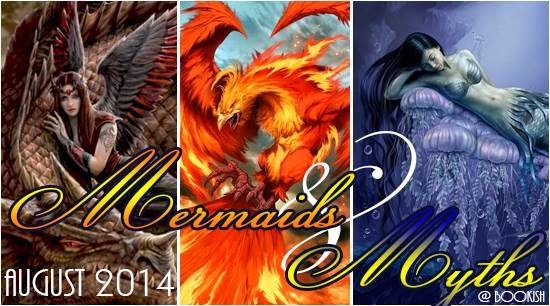 Rachel's amazing writing, plot progression, and characters make these novels difficult to put down, which is bonus when the omnibuses are 600+ pages!